Pastor Scott Bloyer believes Colorado shooting suspect James Holmes attended his church in recent weeks. The Elevation Christian Church pastor told The Christian Post Friday, "We think he might've visited in the last month." After handing out water to police officers at the scene of the shooting – which left at least 12 people dead and dozens injured during the midnight showing of "The Dark Knight Rises" – Bloyer went to grab breakfast and saw Holmes' picture pop up as the suspected gunman. "Both myself and our worship pastor went 'dude, he looks like he's the guy that showed up!'" Bloyer described to CP. He had his wife check the church database for his Holmes' name but there was no card. "[That] happens a lot. We have a church that is reaching people that normally don't go to church and we give them the option to remain anonymous and so there was no card." Recalling the visit, Bloyer said Holmes "just walked in, sat in the back, and walked back out" of the less than 2-year-old church, which currently draws over 200 people. 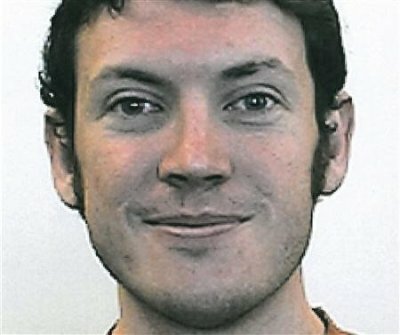 Holmes, 24, was in the process of withdrawing as a graduate student in the neuroscience program at the University of Colorado Medical School campus in Aurora. 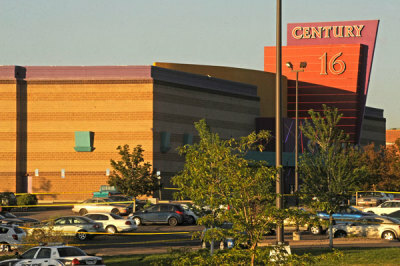 Early Friday, he had four weapons with him when he began shooting into the crowd of theater nine at Century 16 in Aurora. The theater was packed as moviegoers were catching the final installment of the Batman trilogy as it was just being released. Witnesses say they saw a person appear near the screen while the movie was playing and he opened fire. He also threw a gas canister – allegedly tear gas – into the crowd. Greg Stier, founder of Dare 2 Share Ministries, went down to Gateway to offer water, comfort and prayers to victims' families and others who witnessed the tragedy. Gateway has made counselors available to those seeking help. "It's times like this where in this horrific tragedy, people look up and they wonder why? And they also wonder who? Who's up there? Is there somebody there?" Stier said to CP while he was on the ground at the school. "This is a time when you have to listen to people, pray with people." Stier lives half an hour away from the theater where the shooting occurred. He and four others from Dare 2 Share are not only praying with people affected by the tragedy, but they're also sharing Jesus when they can. Responding to the inevitable "Why did God allow this?" question, the youth ministry leader said, "One of the things I'm just more and more convinced of is God doesn't make us robots." "He allowed Adam and Eve to make a decision to eat from the tree of the knowledge of good and evil. And since then, He allows us to choose what we're going to do and there's consequences of that." He stressed that God has a sovereign plan, however, and that "He's working out of the ashes of tragedy." "It's just this fine line between God's sovereignty and Him allowing humans to make decisions and many of those decisions are horrible decisions." Ultimately, the suspect is culpable for his own decision but Stier wants to also point the finger at Satan. "I'm just ticked at Satan," he said, noting that Christians should know that there is a spiritual realm and "it's real, it's powerful, it's pervasive, it's perverted, and it's malicious." "Was he (Holmes) demon-possessed? Was he influenced? We don't know. We can't see into the spiritual realm. But I would say at the very minimum, Satan was whispering in his ear if not fully controlling his heart," said Stier. Until the end of days when "all evil will be sucked up in this bottomless pit," Christians have a battle to fight, he stressed. And they need to fight with prayer and love. "We have to get at it, we have to reach out, we have to love the unlovable. We just got to pray for everybody within our reach and reach more." While Stier's friend, Pastor Bloyer, is not completely certain if Holmes did show up at his church, Stier says if that was in fact Holmes, then he heard the Gospel. "This guy (Bloyer) gives the Gospel every week," said Stier. The Dare 2 Share leader said he pre-purchased tickets to see "The Dark Knight Rises" this weekend. He still plans on seeing the movie as originally scheduled. "I think as believers we don't hole up, we don't hide, we don't run," he explained. "But as we're at those theaters, as we're in those schools, as we're in wherever tragedy has been, we come with the hope of Christ, sharing the message of Christ. "I can guarantee you when I watch that movie, I'm going to be talking to people around me about the hope we have in Jesus Christ."